You don't have to be picky to notice that scrolling performance on Chrome is less than stellar. Google has been using the Touch Events input API for touch and mouse navigation, but now it has made the decision to go to the Pointer Events standard. What does that mean? Scrolling in Chrome is about to get a lot less janky. Touch Events is the standard used by Apple in Safari, but Microsoft, Opera, and Mozilla have all moved to Pointer Events. 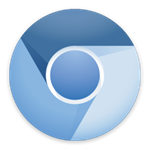 Apparently, feedback from the community led the Chromium team to change course in hopes of improving scrolling performance on all platforms. This should be especially noticeable on Android and Android WebView. Google still has a lot of work ahead of it before Pointer Events can be rolled out to all versions of Chrome. There's no timeline for implementation, but at least we know it's being worked on now.